There is a magical phenomenon that happens when a TV is turned on and a small child is in the room – complete and utter fixation! You know what I’m talking about. It’s like a moth to a flame. I have caught my dude trying to hug the TV, he just can’t get close enough. With millions of TVs in our homes and transfixed tots it leads to an alarming stat: According to the CPSC, a child goes to the ER every 60 minutes because of these TV tip-overs. Worse, children under 4 years old accounted for 2/3 of all children's injuries from TV or furniture because little ones just can’t get out of the way fast enough. And that brings us to this edition of “How to baby proof your home – TV edition.” Bonus, parents in earthquake luvin' California will get a double safety benefit. Secure top heavy furniture to the wall with its own strap. A fall can happen when a child tries to climb unstable furniture. Remove any toys or remotes from the TV stand area to not encourage a play zone for your tot. The TV furniture should be low, sturdy and the right size for your TV. Don't keep TVs on furniture not made to hold a TV, like a dresser or armoire. Push the TV as far back as possible on the stand and make sure you follow manufacturer's directions EX-ACT-LY when installing the anti-tip straps to baby proof TV stand. When mounting to the wall, find those studs! Rangle cords with zip-ties and minimize your child's reach by putting them behind furniture. Teach your child not to pull, yank or touch any cords. If you aren't using an old TV, don't keep it, eCycle it. This is the preferred option by many safety experts, but it has got to be installed properly (ahem, follow those manufacturer directions no matter what install method you choose). That being said, the wall mount install can be a little, well, intimidating. I get it. Additionally, the mount is a separate hardware piece you will need to purchase. 1) Prices range from $10 - $300. 2) Do you want a fixed mount product or do you want some motion or tilt for your TV? 3) Make sure you get a TV mount that accommodates your TV size, these mounts support <25” to over 65” (hey now!). 4) Make sure you check the weight limit for the mount as they range from under 40 pounds to over 170 pounds. 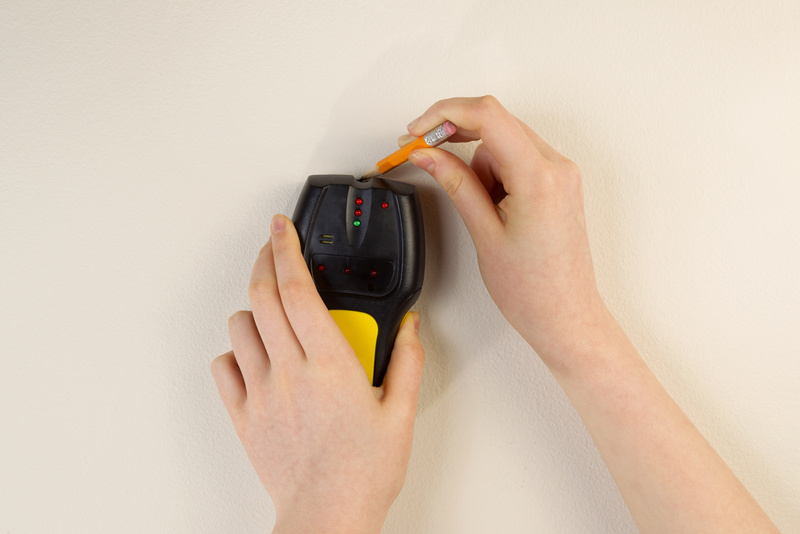 5) You need to mount into studs so make sure you know how to locate them with a stud finder – you can brush up on finding a stud in this post or use the good old fashion "knock, knock" way. 6) Look for models with cord storage to minimize the cord strangulation hazard – but note, you may still have cords running to a power source. 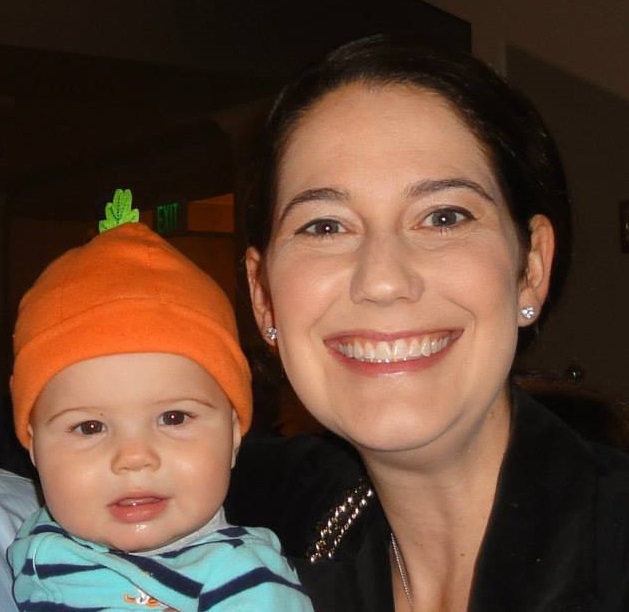 Brush up on cord safety here. Many anti-tip strap brands offer the option to mount the strap to the wall or to the furniture. Most safety experts recommend anchoring to the wall instead of to furniture. 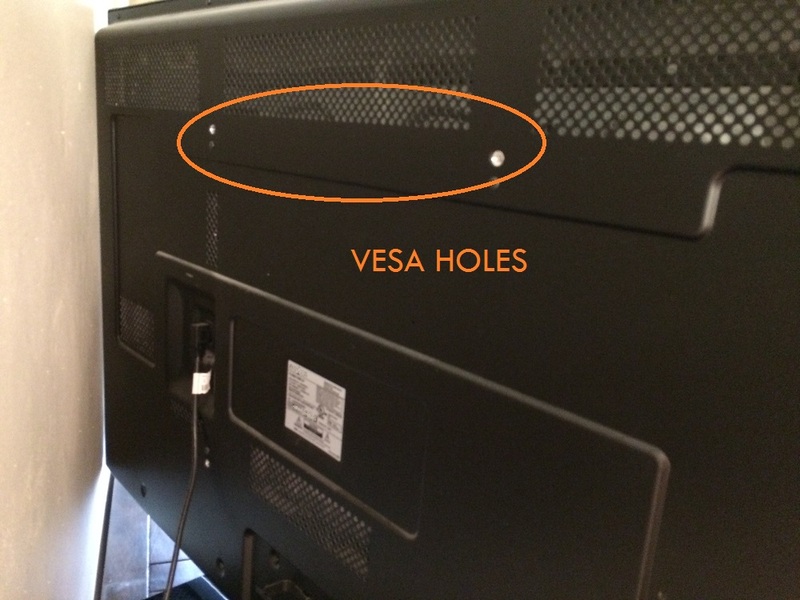 These TV anchor kits come with different size bolts to accommodate something called a VESA hole (or the built-in mounting hole on the back of your TV). 2) To mount to the wall, you need to find your studs. 3) Some TV straps also do double duty to secure furniture to the walls too (some products only work on TVs so double check). 4) Most kits have plastic mounting parts, a few offer metal securing parts. Basically, it’s all the same as mounting the anti-tip straps to you wall, except that you aren’t mounting into a stud, you are screwing the brace into the furniture. If you are cool with that, drill away! For any of the 3 approaches, it is safest to also mount the media console to the wall with a furniture strap as well. For larger cathode ray based TVs (ie, the non-flat box version) move them to a low, stable piece of furniture. If you aren't using these bad boys, consider eCycling them (check out www.GreenerGadgets.org to find the location nearest you). If you found this post helpful, please like (heart) below and share the word.